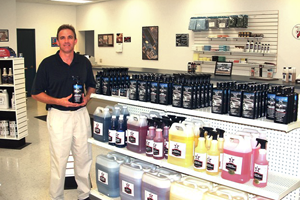 In the summer of 1989, two partners came together to create, manufacture and distribute a superior line of car care products for professional dealers and serious car enthusiasts. The partners formed the company Four Star, with four advanced products that were designed to make vehicles look their best and avoid the unsightly streaks and residue of other car care products. The four original Four Star products included: (1) Multi-Purpose Cleaner, (2) Four Star Rubber & Vinyl Protectant, (3) Four Star Car Wash Concentrate and (4) Four Streak-Free Glass Cleaner. Over the past twenty years, the formulas for each of these products have been tweaked to keep up with the chemical advancements, EPA regulations and the effectiveness of these products have greatly improved. However, the popularity of the products has never waned. These four products remain some of the most popular products sold by Four Star more than two decades after entering the market. More recently, Four Star introduced its Ultimate Series product line. Four Star Ultimate Paint Protection (UPP) took 10 years of laboratory research and product evaluation to formulate and perfect. The development of UPP included the knowledge and vision of the Four Star partners, the expertise of some of the best known chemists in the world, and careful evaluation of our customer’s desires. Now Boosted by Polycharger, UPP provides the perfect balance of slickness, durability and ease of use. It is safe, easy to use, and creates both excellent surface protection, slickness and a stunning effect. Four Star Ultimate Paint Protection Spray boosted by Polycharger, is a new spray on paint sealant. 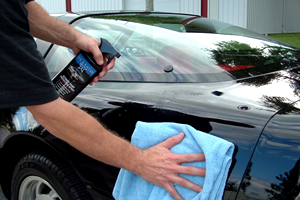 Four Star Ultimate Protection Spray is a water-based, polymer formula that produces a durable, protective shield on all types of paint finishes. It is heat activated and gets slicker if the vehicle is parked in direct sunlight after the initial application. The slickness is equal to that of Four Star UPP, but the application time is reduced and the spray provides a convenient way to make sure that the product is applied evenly over the vehicle. Four Star was created by two partners with a passion for car care. We have the knowledge necessary to create great products because we want to use the products on our own collection of vehicles. We are committed to our customers and we provide the highest level of customer service. We value our customer’s feedback and use it to create even better auto detailing products. If you want your vehicles to look their best then it is important to use high quality care car care products with a history of reliability and excellence. 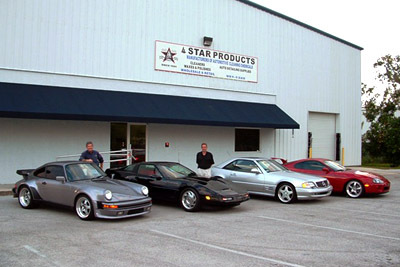 Four Star is proud to provide those products to its customers.